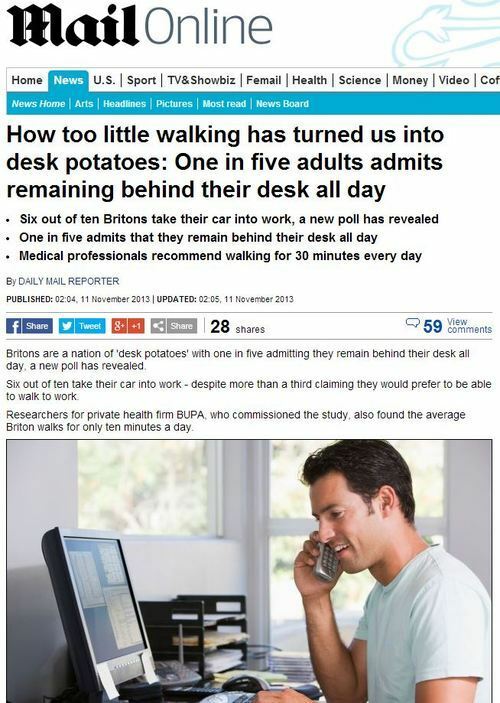 Britons are a nation of ‘desk potatoes’ with one in five admitting they remain behind their desk all day, a new poll has revealed. Researchers for private health firm BUPA, who commissioned the study, also found the average Briton walks for only ten minutes a day. 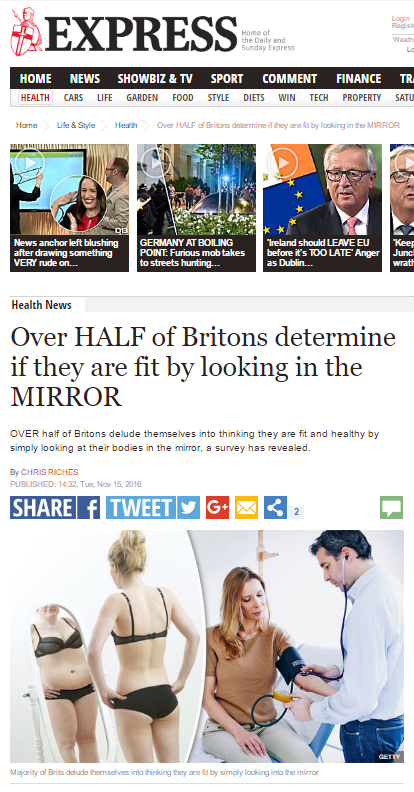 Given that the research was commissioned by a private healthcare company who might profit from scaremongering people into worrying about their health, it’s not hard to see how the impartiality of the data might be compromised. 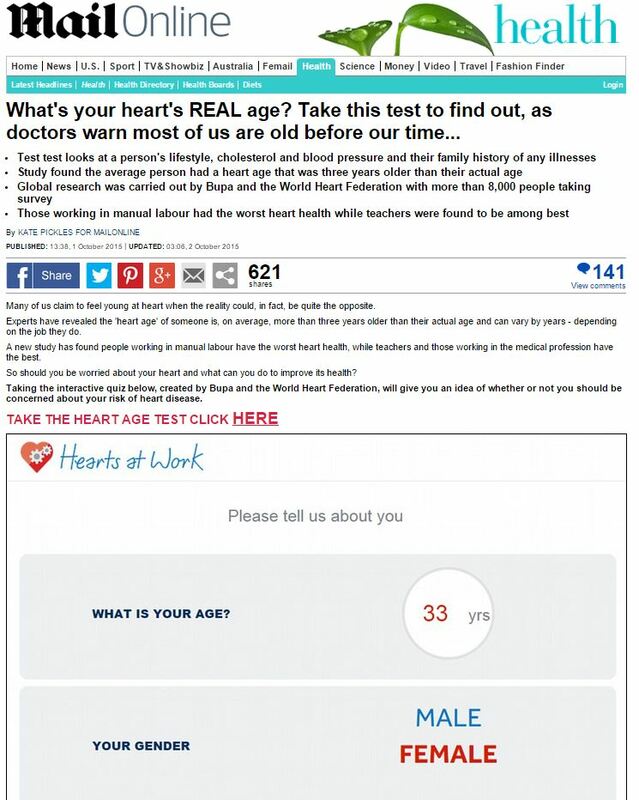 This entry was posted in Uncategorized and tagged bupa, daily mail, daily mail reporter, paula franklin on November 26, 2013 by Michael Marshall.